So here’s a trio that apparently has not recorded together previously. Butcher and Shipp are both well-known improvisors, on the sax and piano, respectively. Lehn is not as known on this side of the pond, but has been kicking around Europe for decades, performing with Marcus Schmickler, Keith Rowe, Radu Malfatti, Axel Dörner, Gerry Hemingway, and Andy Moor among many others. Lehn is also a founding member of the trio Konk Pack, with Tim Hodgkinson and Roger Turner. Here, he contributes analog synth. 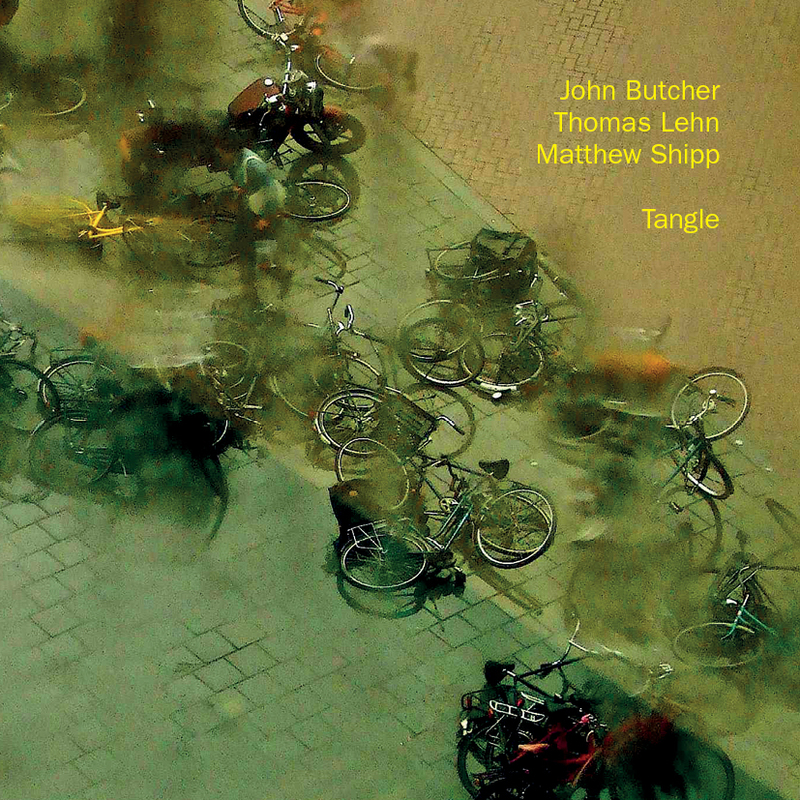 In any case, Tangle documents a 43-minute set recorded live at London’s Cafe Oto in February of 2014. What is unexpected, if not remarkable, about this recording, are the roles played by Shipp and Butcher. The former’s name is virtually synonymous with free-jazz piano, though he might eschew that label. Nonetheless, Shipp reins in his outside leanings and takes on a more staid approach, at least when compared to his co-conspirators. This is not to say that he plays it straight, but he does contribute from a more formal, classical bent. In contrast, Butcher provides his intellectual take on sax blowing, employing extended techniques and controlled chaos when appropriate, but remaining angular even when reining himself in. Through all of this, Lehn peeks out of the background from time to offer noise patterns both constructive and destructive. In a sense, he is a perfect counterpart to the two instrumentalists, as his modernism fills the spaces that the other two create. Free-improv, noise, call it what you will. Tangle is aptly-titled. This is a dense, reflective piece that will take the listener some time to unpack. To use an appropriate cliche, Fataka has captured lightning in a bottle with this release.